A pop of polka dots, a blast of fun tailoring. 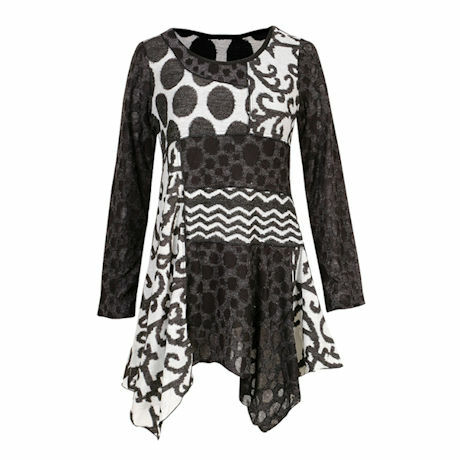 The sweeping panels of fabric on this tunic drape prettily over your figure; the black & white top's individual piecing creates a dramatic asymmetrical hemline with a jagged sharkbite line. 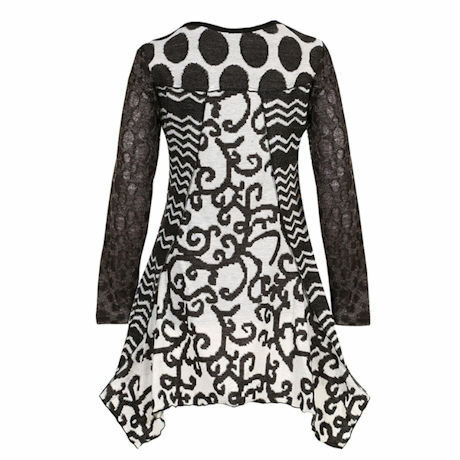 Designed with a weave that silkily hugs your shape, the layering top is great over comfy leggings or lanky jeans. 29 1/2" long. Imported. Handwash.